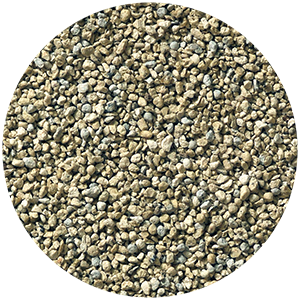 Lindorod is a litter made of 100% Urasite, a natural clay with enhanced liquid and odour absorption properties. The particular lamellar structure of this mineral means that bacteria, the main cause of bad odours, are rapidly encapsulated and neutralized. 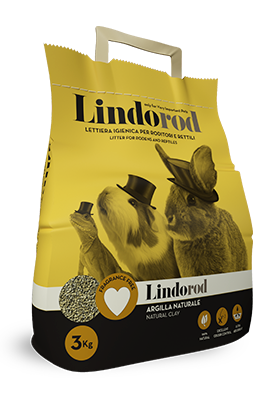 Its extra fine grains make Lindorod suitable for hamsters, squirrels, dwarf rabbits, guinea pigs and reptiles. Natural product not chemically treated. Recent studies have defined the behaviour of some rodents as “altruistic”. Even though it is often claimed that their primary aim is to satisfy an individual need, recent experiments have surprisingly demonstrated that, when faced with the option, these animals have mostly chosen to help a companion in difficulty before obtaining their reward. 100% Natural: made of clay mineral with natural absorption capability. Free from chemical treatments. Stop bad odours: neutralizes bad odours, keeping the surrounding area more hygienic. Ultra-absorbent: rapid and effective absorption of fluids.